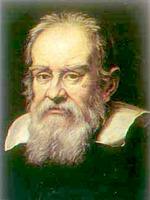 ROME (CNS): The Catholic Church erred when it pressured Galileo Galilei to repudiate his finding that the Earth revolves around the Sun, but it did not persecute or torture the 17th century astronomer, a Vatican official said. Archbishop Angelo Amato, who is secretary of the Congregation for the Doctrine of the Faith, said it was an oversimplification to view Galileo as a symbol of human freedom and progress against a dogmatic and immobile Church. “The reality is very different from such far-fetched perceptions,” he said in an interview in mid-August with the Italian magazine Famiglia Cristiana. Archbishop Amato made the comments in light of a letter revealing that Church officials acting on behalf of Pope Urban VIII wanted a speedy end to the Inquisition’s heresy trial because they were worried about Galileo’s poor health. The letter was uncovered in 2001 by historian Francesco Beretta in the archives of the doctrinal congregation, but only recently attracted media attention in Italy. The doctrinal congregation was founded in the 16th century as the Sacred Congregation of the Roman and Universal Inquisition, and Galileo’s trial was held there. Written by the Inquisition commissioner, Dominican Father Vincenzo Maculano da Firenzuola, to Cardinal Francesco Barberini on April 22, 1633, the letter expressed worry over Galileo’s poor health during his trial in Rome and suggested the process be wrapped up quickly. Archbishop Amato said the Church trial of Galileo was not centred on scientific aspects but on a question of faith. He pointed out that Pope John Paul II, after a long study, has said the Church was mistaken in its treatment of Galileo.